James Krenov was born on October 31, 1920 in a village in Siberia. As his parents sought out a more promising situation, he spent nearly two years with his architect grandfather in Shanghai. His mother obtained a position with the Bureau of Indian Affairs as a teacher. 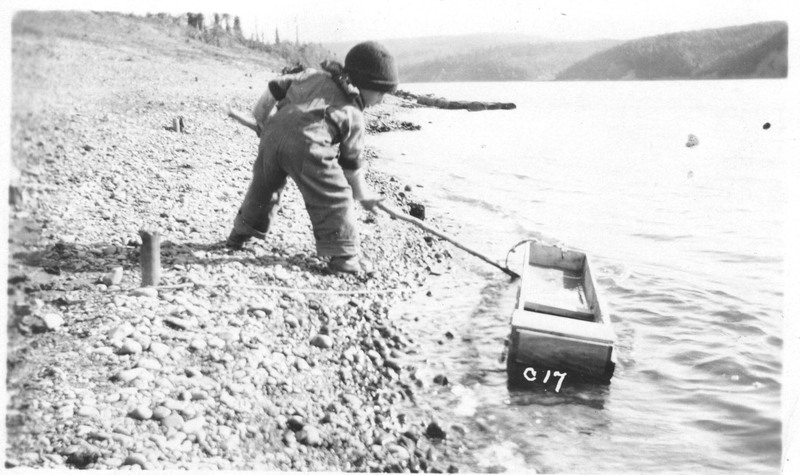 Her work took the family to Alaska for two posts, from 1924 to 1928, and from 1930 to 1933. 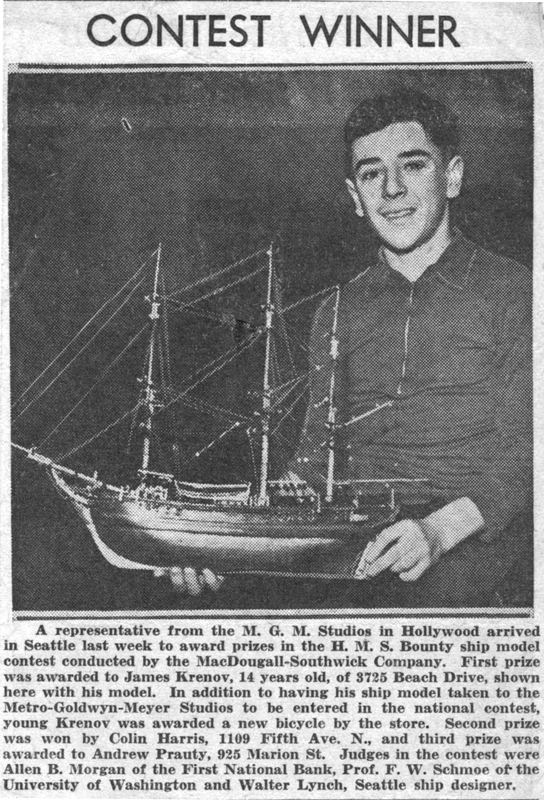 The family relocated to Seattle where Jim began a career with a nautical bent, working at the Jensen Motor Boat yard where yachts were built and refurbished. He moved on to a ship’s chandlery, while spending leisure time sailing small boats around Puget Sound. As a result of his position at the chandlery and his background, he was sought out as a Russian interpreter for the Lend-Lease program before America’s involvement in World War II, and served throughout the duration. In 1947, Jim moved to Sweden where he worked at a fluorescent tube manufacturer. During an excursion to the Continent as a “pre-Kerouac hippie” he met his future wife, Britta, who was studying French in Paris. They were married in 1951. Upon his departure from Malmsten's, he set up shop in the basement of his home in Bromma, Sweden where his work and his relationship to it gained recognition among peers and acquirers. 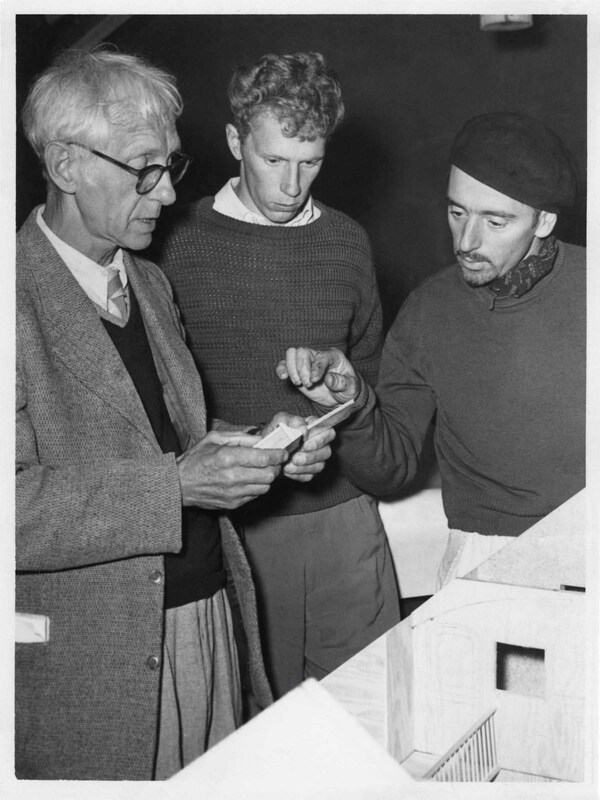 Early visitors to his shop included Craig McArt and Martin Puryear who were at the time pursuing academic goals. Commissions during this period included a box to contain a collection of prized ceramics belonging to King Gustav of Sweden. 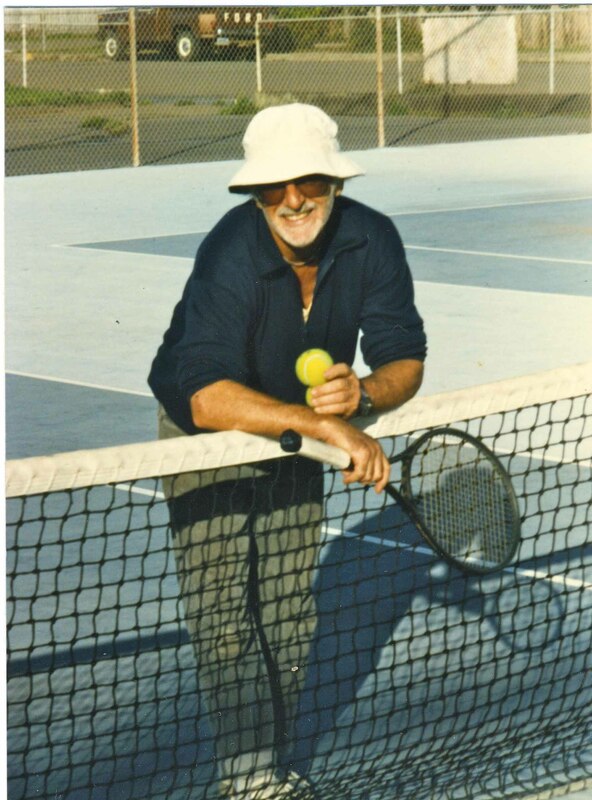 Jim’s abilities as an instructor and speaker began to blossom in the late ‘60’s. He lectured at Malmsten’s school in 1968. His international engagements began with an invitation from Craig McArt to teach at the Rochester Institute of Technology. 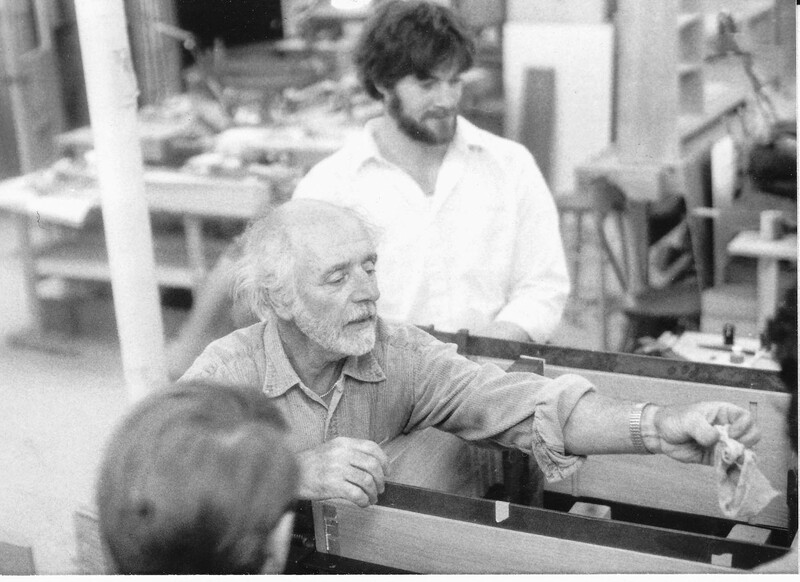 Subsequent teaching engagements included the establishment of the program in Wood Artistry for the Franklin Institute of Boston University, and as a Guest Professor in Graz, Austria in 1978. The response of students there led McArt to encourage Jim to try a hand at writing. The results of that writing became The Cabinetmaker’s Notebook (Van Nostrand Reinhold Company, 1976). The publishers sent Krenov on a barnstorming tour of the U.S. This led, in turn, to an invitation from the University of California, Santa Cruz, to conduct a workshop. 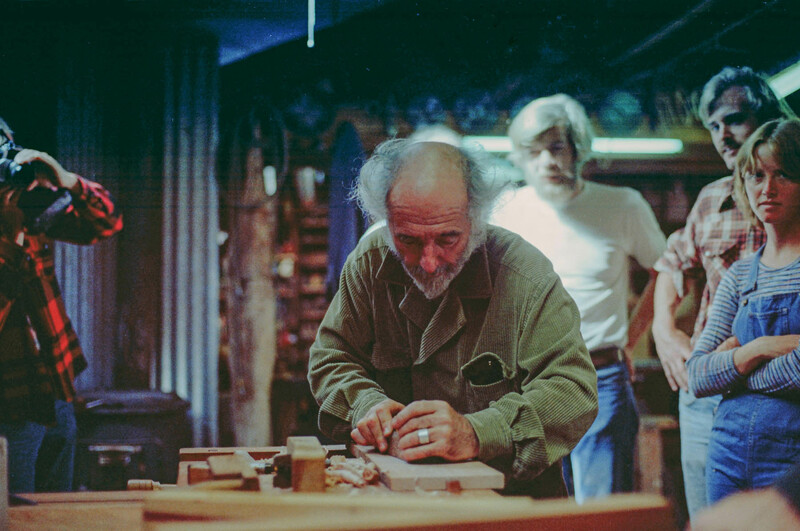 Three of the students of that workshop were members of the Mendocino Woodworker’s Guild who enticed Jim to conduct a workshop at the Mendocino High School in 1978. One led to another in 1979, and again in 1980. In the meantime, Guild members, with support of local board of trustee members and instructors, persuaded the College of the Redwoods (CR), a regional community college with a budding branch in Fort Bragg, to establish a cabinetmaking program. The building, in which classes are still held, was finished with the help of the first group of students in the fall of 1981, and was the first that CR owned in Fort Bragg. Invitations to speaking engagements continued. 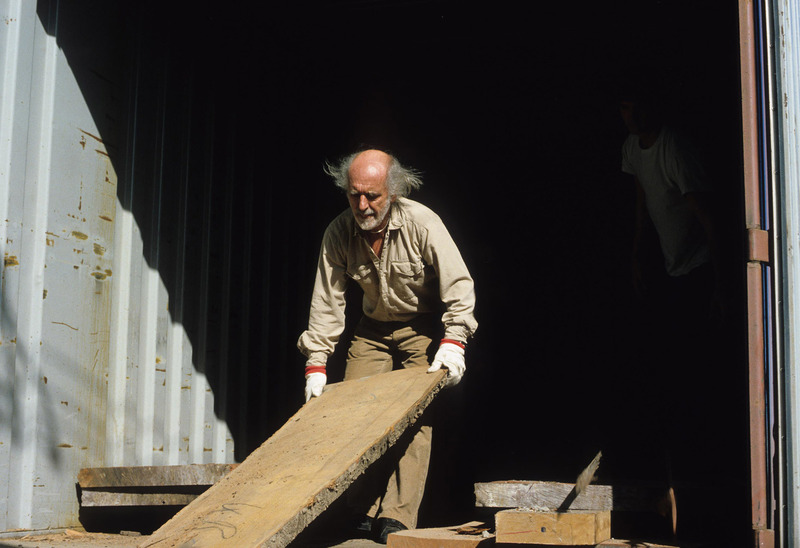 He presented two months of workshops as a Fulbright Guest of The New Zealand Crafts Council in 1984. In 1989, the newly established Hida Global Institute in Takayama, Japan invited him to conduct a series of workshops and lectures. 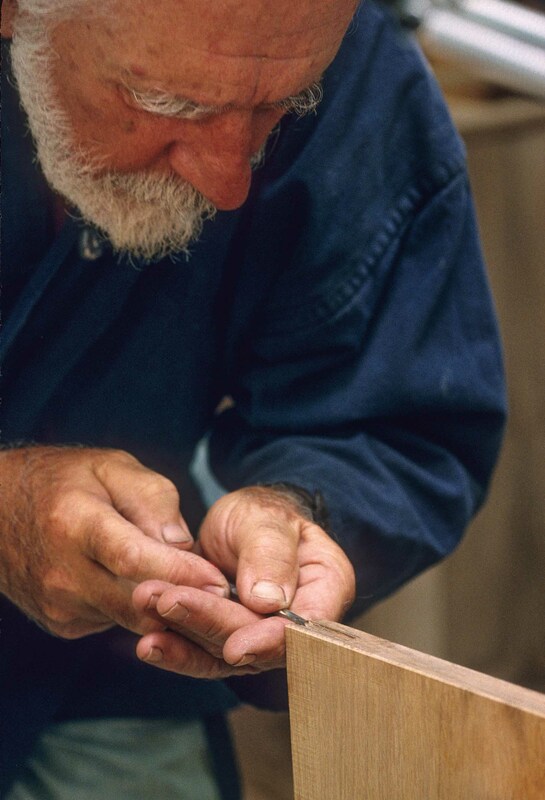 He has also led workshops at Anderson Ranch in 1989 and 1990, and at the Center for Craftsmanship in Rockport, Maine, in 1995. 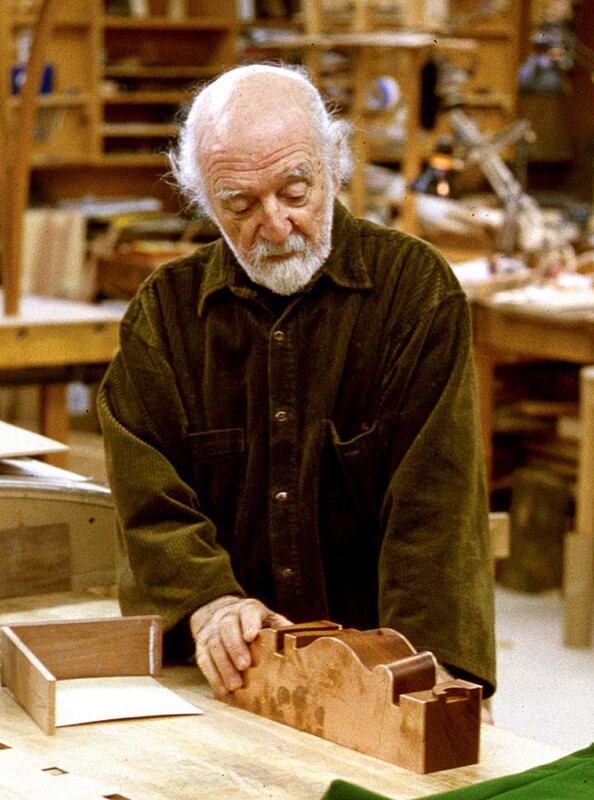 He took pride in being the first non-British recipient of the Annual Award of the Society of Designer-Craftsman’s Centennial Medal, bestowed upon him in 1992. 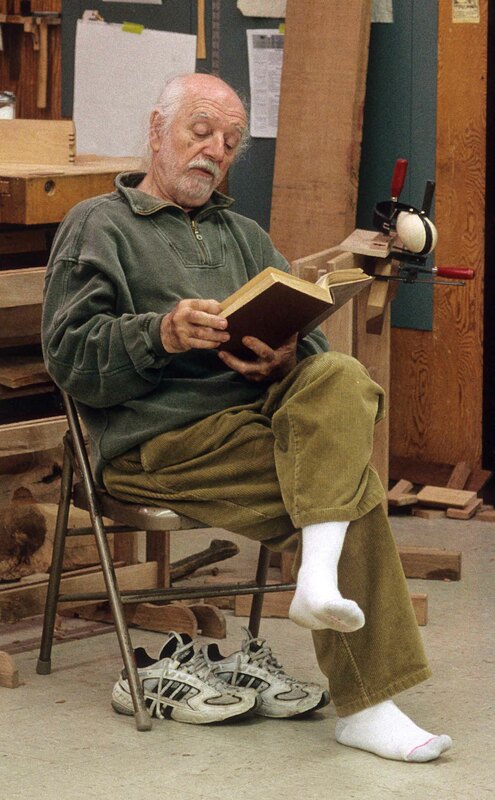 The American Craft Council elected him to their College of Fellows in October of 2000. 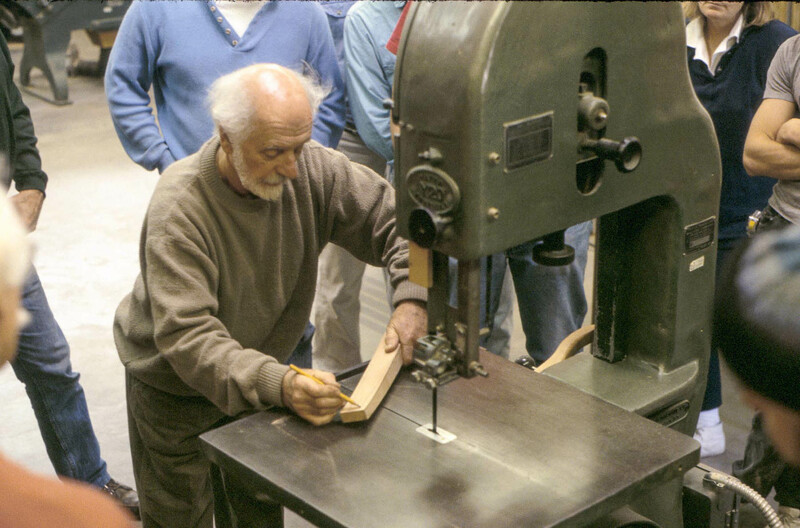 In 2001, Jim was a recipient of the annual Award of Distinction by the Furniture Society. His first four books, A Cabinetmaker’s Notebook (1975), The Fine Art of Cabinetmaking, (1977), The Impractical Cabinetmaker (1979), and Worker in Wood (1981) were first published by Van Nostrand Reinhold and have since been reprinted by Sterling. With Wakened Hands was published by Cambium Press in 2000. We know of at least two translations of Krenov books, a German translation of Fine Art, Die Kunst Des Möbelbaus was released by Ravensburger in 2000. Shuhei Mitsuhashi, a student of Krenov, translated Notebook into Japanese in 2008 (Nakaishoten, Osaka). 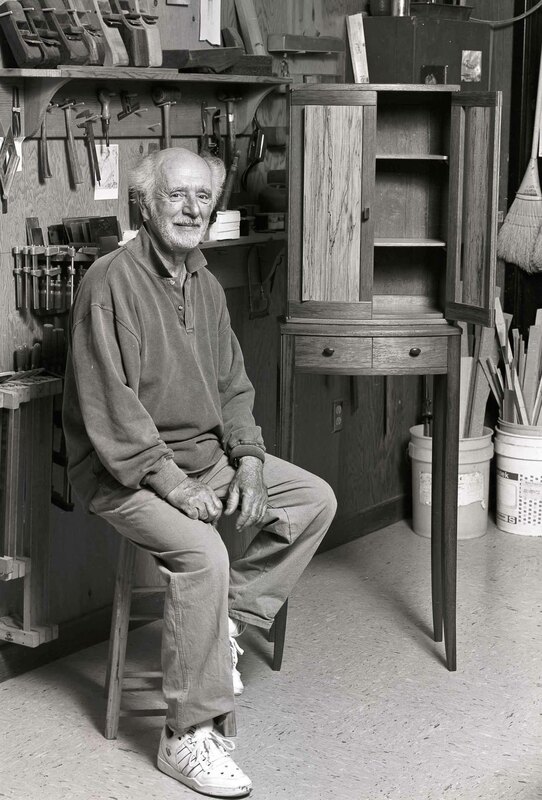 Upon his retirement from teaching in May of 2002, Jim set up a shop in a small building at his home where he continued to create cabinets and welcome visitors. 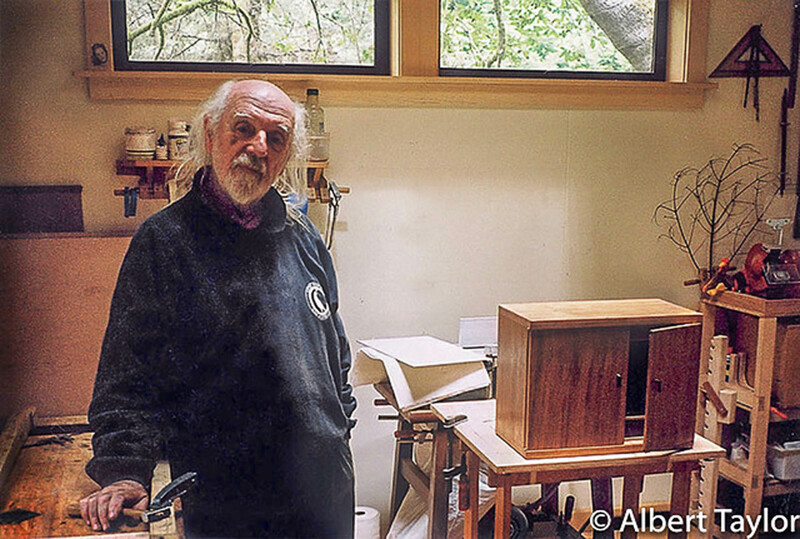 During this time he served as an advisor to Inside Passage School of Fine Cabinetmaking, at Roberts Creek, B.C., Canada, a facility set up by CR graduate Robert Van Norman. Jim's assistance included periodic lectures by phone. By 2006, Jim's eyesight degraded to the point that he no longer was confident in his ability to work with the care to which he was accustomed. 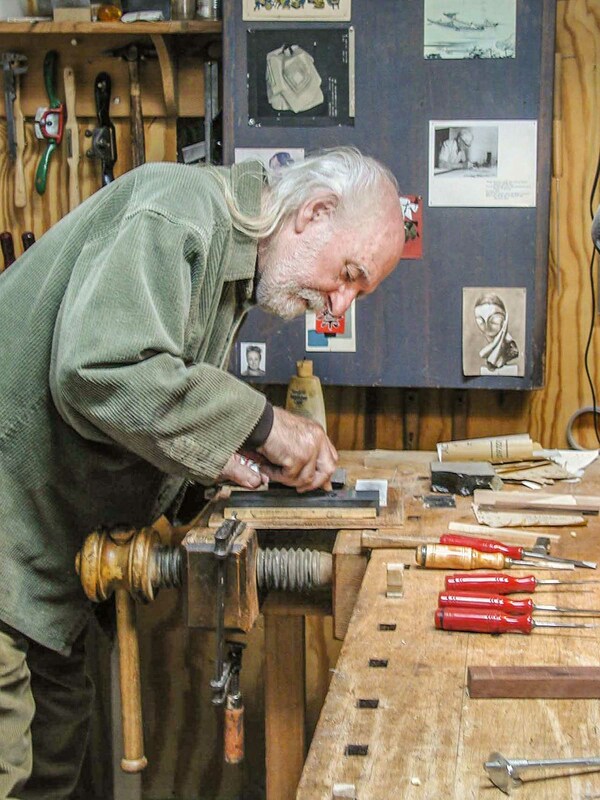 Desiring to stay in his shop, he put his energies into making a long series of his iconic tool, the hand plane. He would still regale visitors with new discoveries in the process. A minor incident with a router in July of 2009 convinced him that it was time to close the shop. He passed away in September of that year. Since July of 2017, the Fine Woodworking program has been administered by Mendocino College out of Ukiah, CA. The facility is now called The Krenov School. James Krenov and the Walnut Walk-Around. 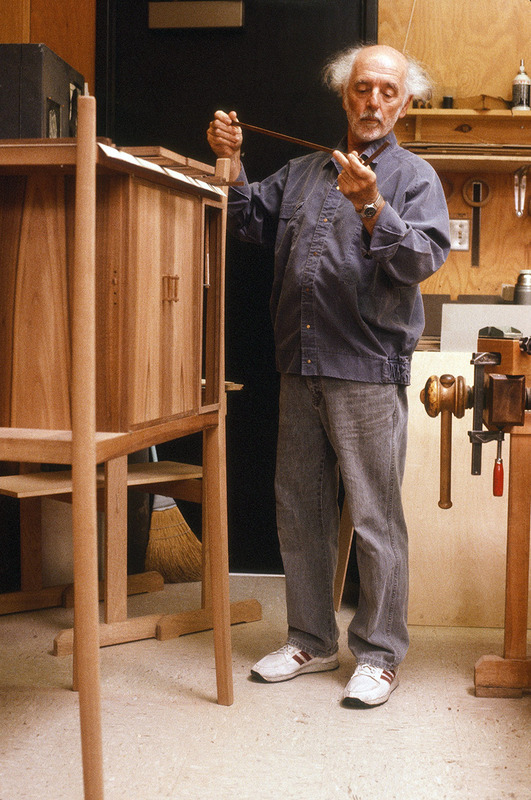 From a photo shoot for the Nov/Dec 1985 issue of Fine Woodworking magazine. The Krenov cabin near Sleetmute, Alaska where Jim's mother was a teacher. 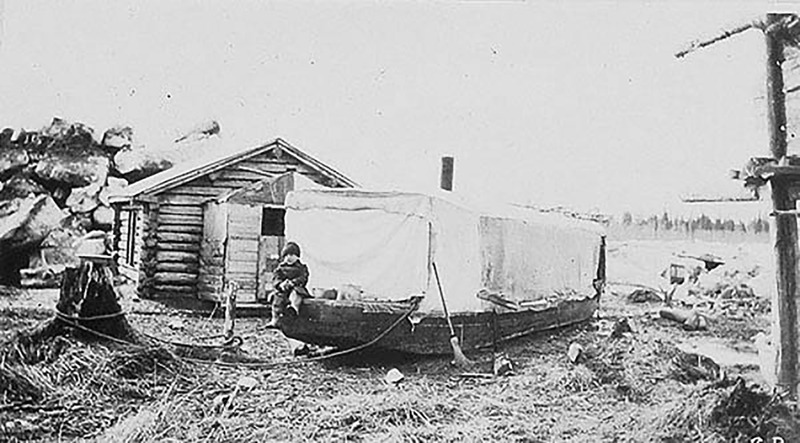 On the Kuskokuim river in Alaska. There's a developing theme here. Carl Malmsten left, Krenov, right. 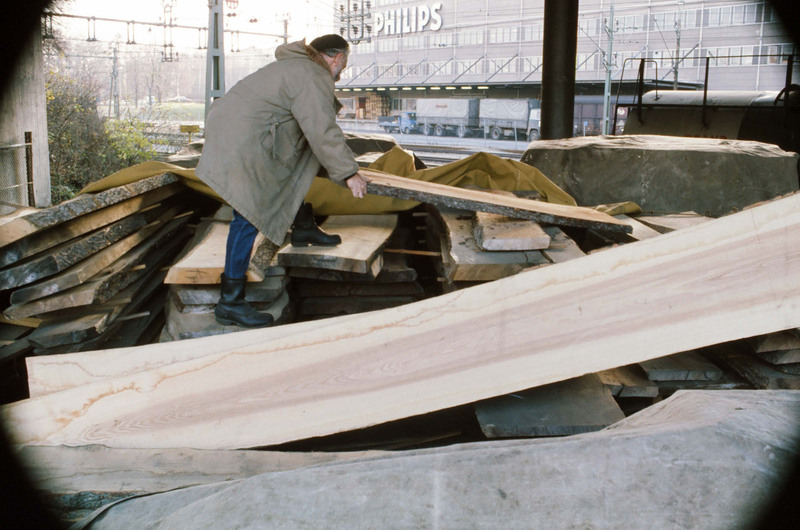 Krenov rummaging in a wood lot in Stockholm. One of the first appearances on the Mendocino Coast; a seminar in Brian Lee's (white tee shirt) workshop. Unloading a shipment from Sweden, 1983. 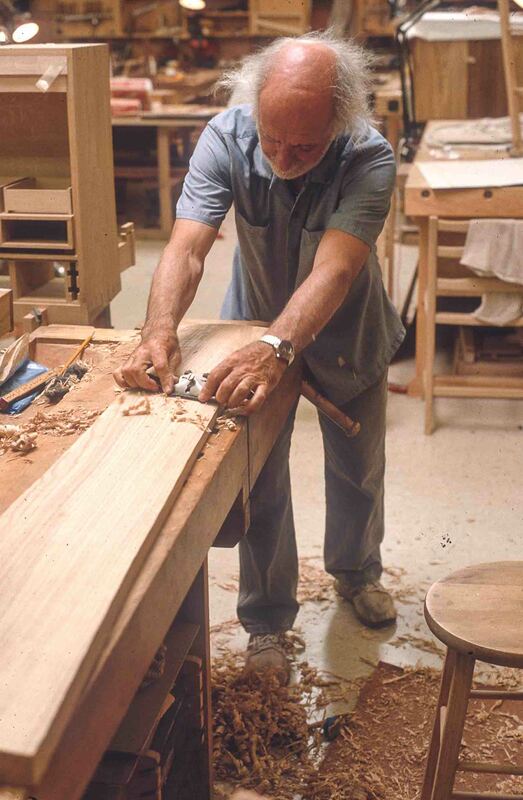 Jim shaping one of the sides of his ash Carved Curves Carved Curves cabinet, 1985. Jim was often in the thick of it during glue-ups. At around 2:30 for many years, a victim would be selected to go "hit some balls around". A demonstration of freehand sawing a curved leg on the band saw. 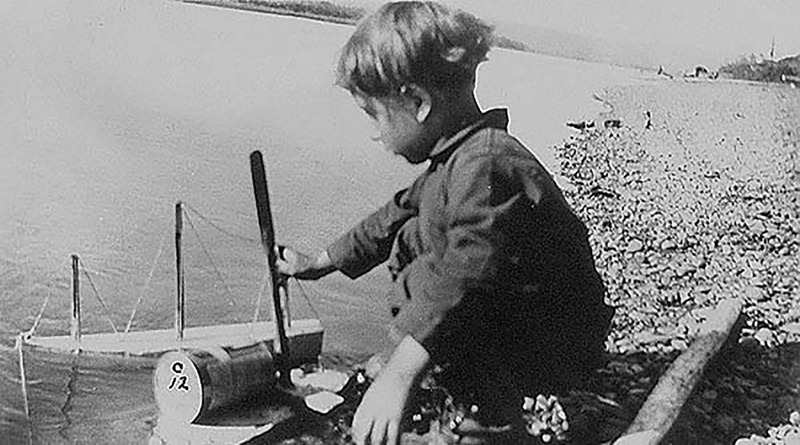 A reading of a favorite passage from Wind, Sand and Stars by Antoine de Saint-Exupéry. Jim's shoes are off because he had just presented a cabinet and was walking on the backdrop paper. 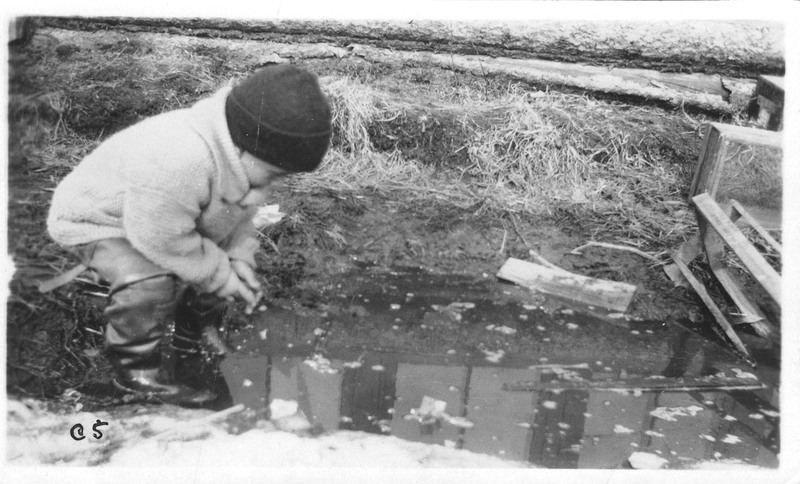 A real photographer, Shea chronicled the 1992 school year as well as photograhing later Krenov cabinets. 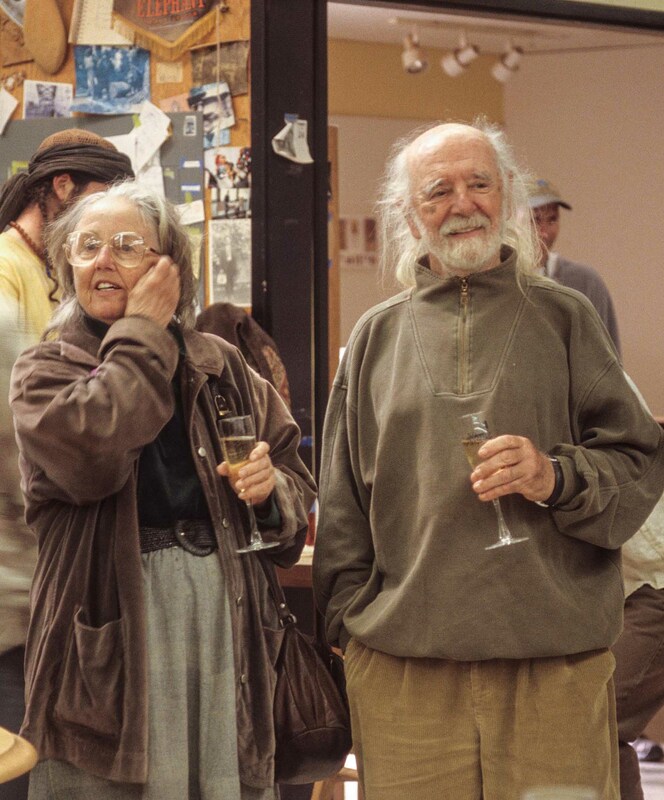 Jim and St. Britta at a celebration of Jim's birthday in 2000. Moritising for a hinge on a door. With the Furniture Society's Award of Distinction, 2001. The tool cabinet on the wall accompanied Jim in all of his shop situations. Jim in his home shop, probably early in 2003. 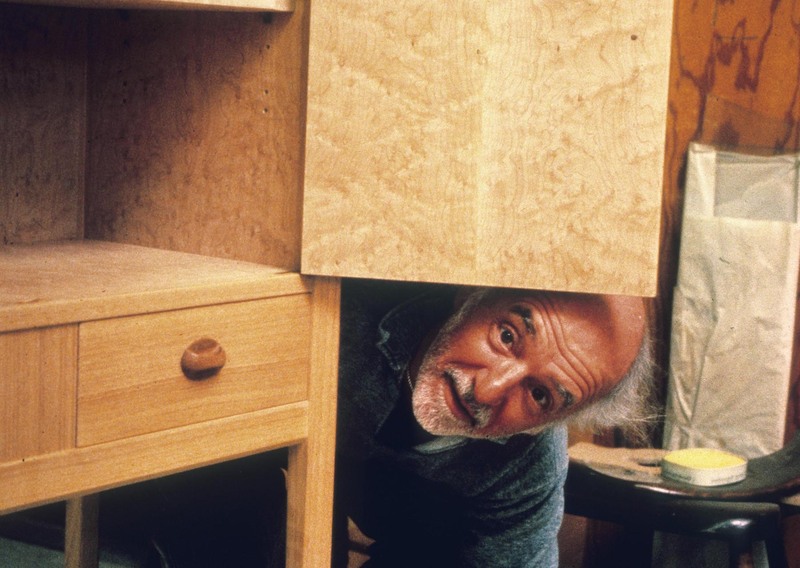 An earlier posting of this image mistakenly identified this cabinet as Jim's last.